Johnson Development Association has steadily grown into one of the most well-respected real estate developers in the Southeastern United States. Initially focused on the development of local industrial and commercial property, JDA’s portfolio has grown to now include luxury multi-family rental communities and large single-tenant industrial space. 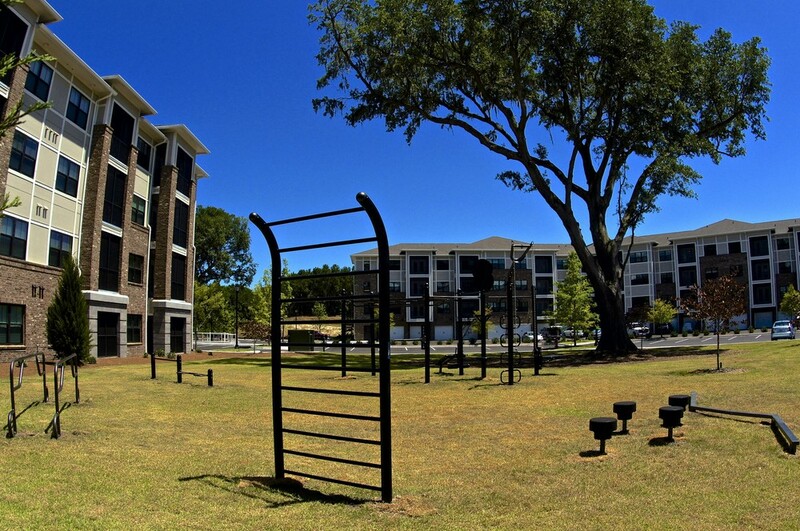 After installing a MoveStrong T-Rex outdoor fitness station at a property in Virginia, the next luxury residential property was opening in Mount Pleasant South Carolina and JDA wanted to dedicate more outdoor space for a fitness and wellness amenity. Haven at Midtown decided to install the complete MoveStrong FitGround in the courtyard next to a large beautiful live oak tree. The perfect outdoor setting to promote health and wellness to its residents. 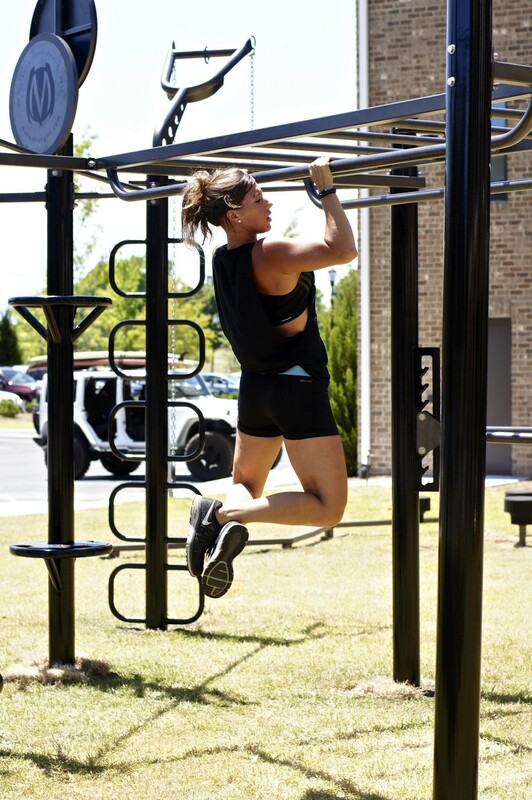 FitGround included the T-Rex outdoor FTS with monkey bars, zigzag balance beam, balance steps, elite parallel bars, varied height push-up bars, and stall bars. "The Haven at Midtown wanted to offer residents a fitness experience they could not find at another community and MoveStrong was the perfect fit. 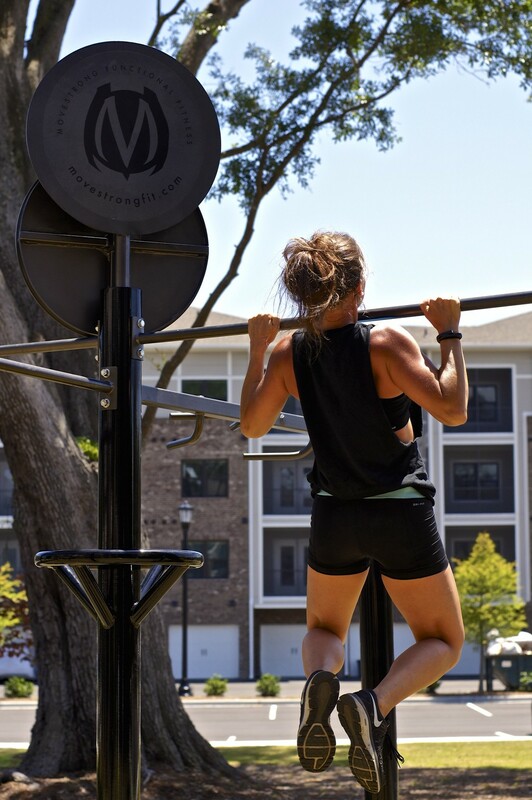 We worked with MoveStrong to design a functional fitness training area that would cover many fitness aspects while providing an enjoyable outdoor experience. MoveStrong delivered all the necessary equipment to give our residents an exciting new way to get the most out of their workout time. The FitGround equipment was the perfect for the green space and has been well received by the community." MoveStrong Fitground Stall bars are great outdoor fitness dedicated station for stretching and flexibility. Balance steps for balance fitness training in the MoveStrong Fitgrond outdoor product line. Park City Recreation opens MoveStrong FitGround!